Foiling comes in a number of colours and can be glossy or matt. We use traditional foiling methods to create a perfect and debossed effect to the card. When combined with a litho printed ink the final product looks amazing. 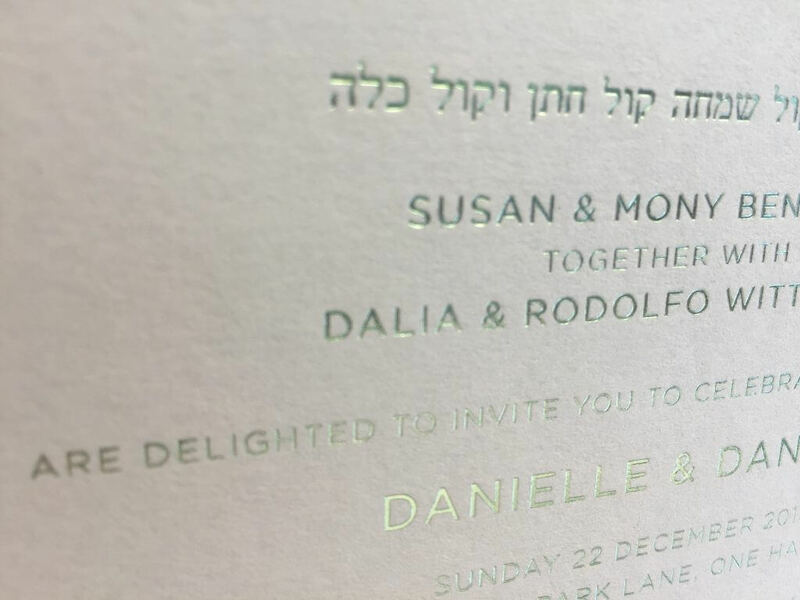 You can also gilt edge or Bevell the edges of the invites or business cards to create that extra special finish to match the print and foil. Invitations with foiling look wonderful and add an element of elegance to the invite. We can also foil Business cards and any other item.